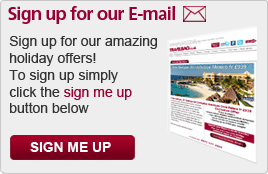 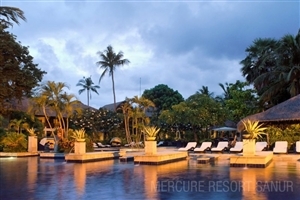 An excellent tropical holiday resort for couples seeking a romantic haven or families wanting a truly unforgettable Balinese adventure, the Mercure Sanur Resort offers comfort, function and value. 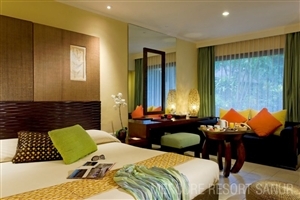 Reside in spacious and elegantly-appointed guestrooms and suites, located in 41 cottages across 5 hectares of stunningly beautiful tropical land. 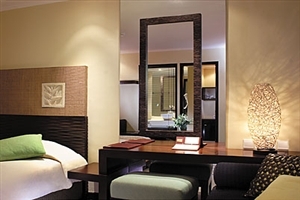 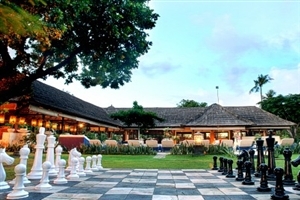 Set in Sanur close to its revered white sand beach, Mercure Sanur Resort complements its surroundings by offering generous facilities, including a Spa, two swimming pools and a choice of four restaurants and bars. 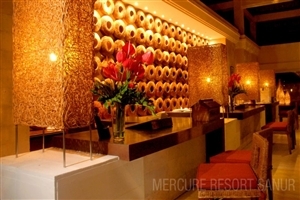 Facilities at Mercure Sanur Resort include two swimming pools for adults and children, a kids’ club, spa treatments and the choice of four restaurants and bars. 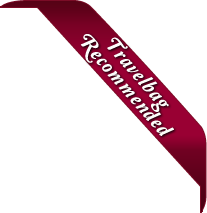 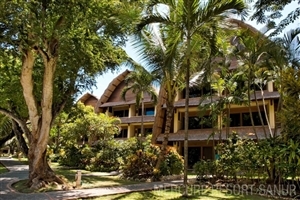 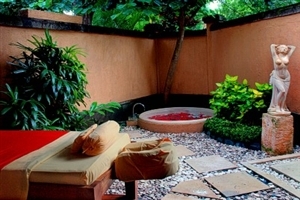 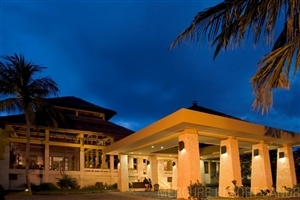 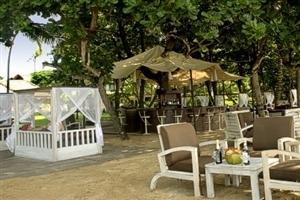 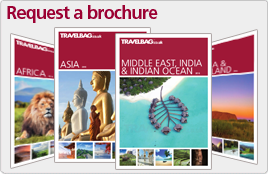 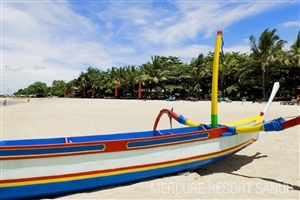 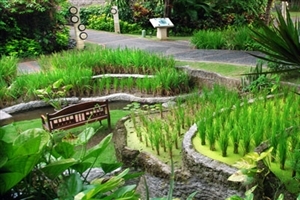 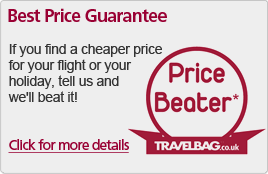 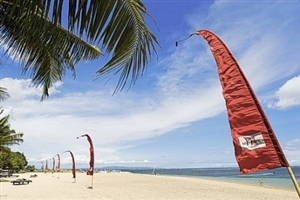 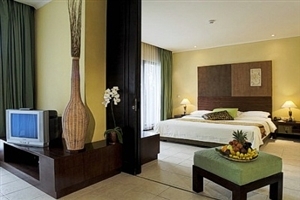 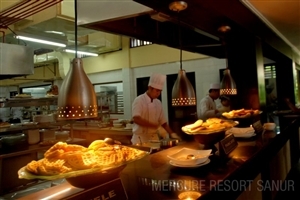 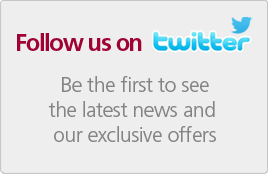 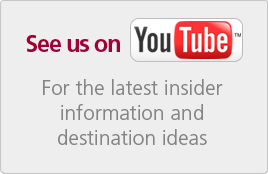 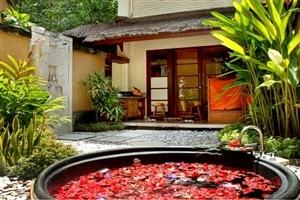 Mercure Sanur Resort is located just 20 minutes from Ngurah Rai Airport. 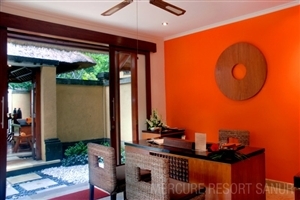 The Superior rooms at Mercure Sanur Resort offers 32sqm of accommodation space and features Balinese design touches, plus a private balcony or terrace overlooking the tropical gardens. 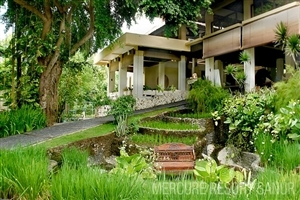 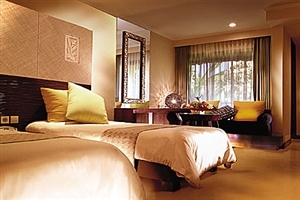 The Deluxe rooms at Mercure Sanur Resort offers 42sqm of accommodation space and feature a private balcony or terrace overlooking the tropical gardens. 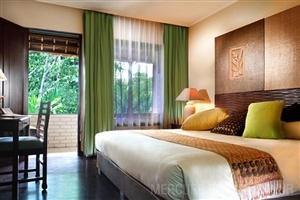 The Deluxe room also features a sofa-bed. 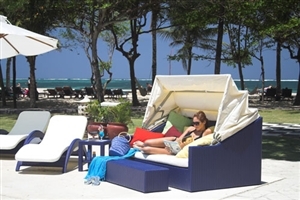 The Deluxe Family rooms at Mercure Sanur Resort offer 84sqm of accommodation space and have been designed to appeal to adults and children alike, with a bunk bed and children’s play area included.